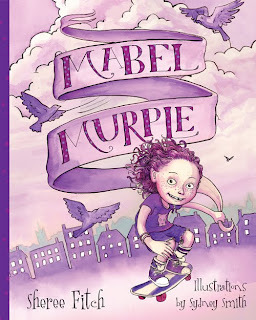 Mabel Murple is a modern classic in Canadian children’s literature. First published in 1995 by Doubleday Canada, despite being a bestseller and exceedingly popular with young readers, when Doubleday stopped publishing picture books in the late 1990s, Mabel Murple wen t out of print along with many other well-loved books for young children. You can view January Magazine’s 1999 interview with Fitch here.